Madison Henry partners with Scrum.org to help software organizations measure Agility and continuously improve performance. Over the past two decades, many software development teams have significantly increased the value they deliver by improving performance through the application of Agile principles and the adoption of the Scrum framework. Evidence-Based Management (EBMgt™) can help your organization achieve even higher gains by measuring Agility, diagnosing capabilities and utilizing evidentiary outcomes to help guide improved performance as you scale Agile across your enterprise. 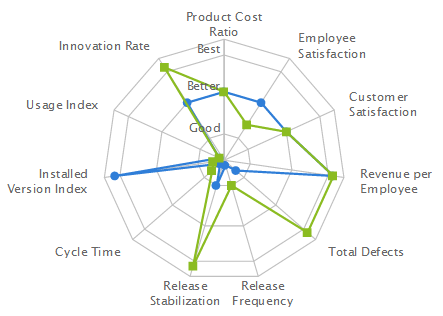 Evaluating your software development organization's current value and baseline performance. Selecting performance metrics that need to improve. Identifying the development capabilities and supporting practices that will help enable these improvements. Implementing these development capabilities and supporting practices. Evaluating your results and applying the evidence moving forward to help sustain continuous improvement. 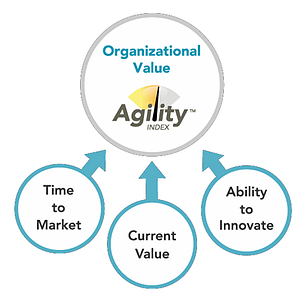 Evidence-Based Management (EBMgt™) begins with calculating an Agility Index™ that measures the current value and baseline performance of your organization. The following performance metrics can be captured to calculate your baseline Agility Index™ and serve as a starting point. New performance metrics should be captured and analyzed on an ongoing basis to recalculate your Agility Index™, measure progress and help identify areas for performance improvements. Enterprise Domain – Covers the entire expanse of functions. 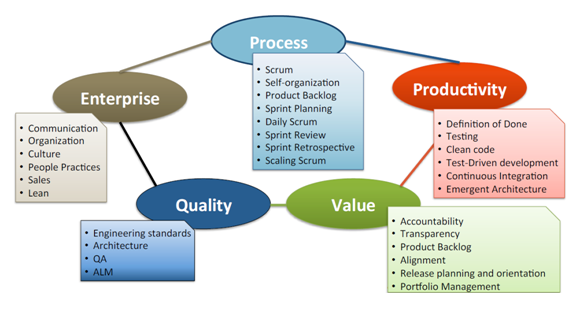 Process Domain – The effective use of Scrum. Productivity Domain – Software development and development teams. Value Domain – Product backlog management, release management and Product Owners. Quality Domain – Shared standards: Infrastructure, architecture, tools, standards & conventions and QA. Agile Software Developmet is a journey of continuous performance improvement. 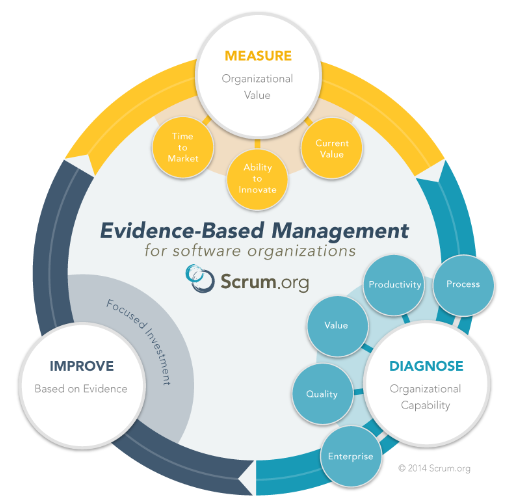 By incorporating the Agile principles, practices and values that have helped thousands of software development teams increase the value they deliver, Evidence-Based Management™ provides a highly customizable framework that utilizes evidentiary outcomes to help guide improved performance. Need Help with Measuring Agility and Improving Performance? The Madison Henry Group has partnered with Scrum.org, the home of Scrum and co-contributor to the Scrum Guide, to help your organization apply Evidence-Based Management™ to measure Agility and continuously improve performance.